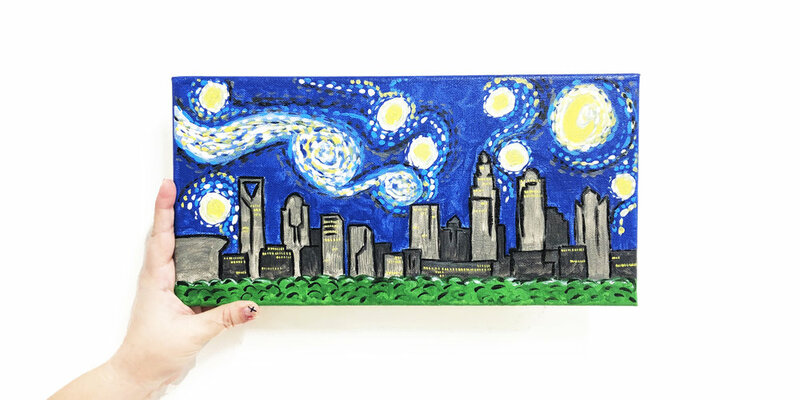 Crafty Hour at Catalyst | Paint A Pretty Skyline Picture — Crowned Sparrow Craft Co.
- Finishing touches to make your painting stand out! Catalyst is located Uptown near Romare Bearden Park. We recommend ride sharing for this event, as parking is mostly on the street in this area. You are welcome to bring your own snacks and beverages to this class!